That question crossed my mind when my husband and I were recently shopping for some fresh fruits and vegetables in an Asian market located in Houston, Texas this past week. We have been experimenting with purchasing some food items of which we are unfamiliar, and have made some nice discoveries along the way. The large store is called the 99 Ranch and it is located at the intersection of Interstate 10 and Blalock. The parking lot is always filled to the brim and sometimes it takes a while to find a parking space. A few other cubicles within the store are filled with retail shops including one that sells ceramic teapots and other Oriental décor items, an optical shop and another that sells purses and jewelry. One can dine inside of the store something we have not yet tried and there is a bakery. But the vast space of the store is filled with an amazing array of fruits and vegetables, aisles of different types of rices, noodles, spices and a myriad of other interesting looking offerings and a huge fish market and meat market in the back of the store. It is a fun place for those who know all about Oriental food ingredients and wish to acquire what they need to prepare meals. The 99 Ranch is also a place for adventurous types who wish to learn more about Asian foods. We have been gradually experimenting with new additions to our diet and bitter melon was among some of my most recent purchases. I noticed quite a few people adding bitter melon to their shopping carts and noticed that this wrinkly fruit was on sale, so despite the name I picked out 2 of them and sauntered through the rest of the store adding other things to our basket. While in the checkout lane I asked the lady standing behind us if she knew what to do with the bitter melons. Her eyes lit up and she said that she primarily adds them to smoothies with various kinds of fruit. She also said that they could be sliced thinly and made into a salad with some vinegar and olive oil. She did advise that to cut a bit of the bitter taste, one could parboil the slices in salted water for a couple of minutes first. So with that brief information in hand I created my version of a bitter melon salad. I often create my own recipes and love to experiment. I thought that it might be a nice accompaniment to some roasted duck that we were planning on having that night. Wash and dry the bitter melon and slice off both ends. Using a sharp knive, slice through making small approximately 1/8 inch in diameter rounds. Remove any seeds from the middle. Boil the slices in salted water for a minute or two and drain in a colander rinsing with cold water. Dry on paper towels. Slice a half of a large red pepper or more, if you like, into strips and add to a bowl along with the bitter melon. Add a small amount of fresh garden chives and some fresh tarragon (all according to your taste) to the mixture. Chop the chives and cut or tear the tarragon leaves into several pieces depending upon the size of the leaf. Sprinkle a little tarragon vinegar and light olive oil over the mixture (about 2 parts oil to 1 part vinegar) and season to taste with salt, freshly ground pepper and a dash of sugar. Chill in the refrigerator as desired or immediately plate and serve. Bitter melon goes by many different names, some of which include the following: Bitter apple, Karela, Bitter gourd, Wild cucumber and balsam pear just to name a few. 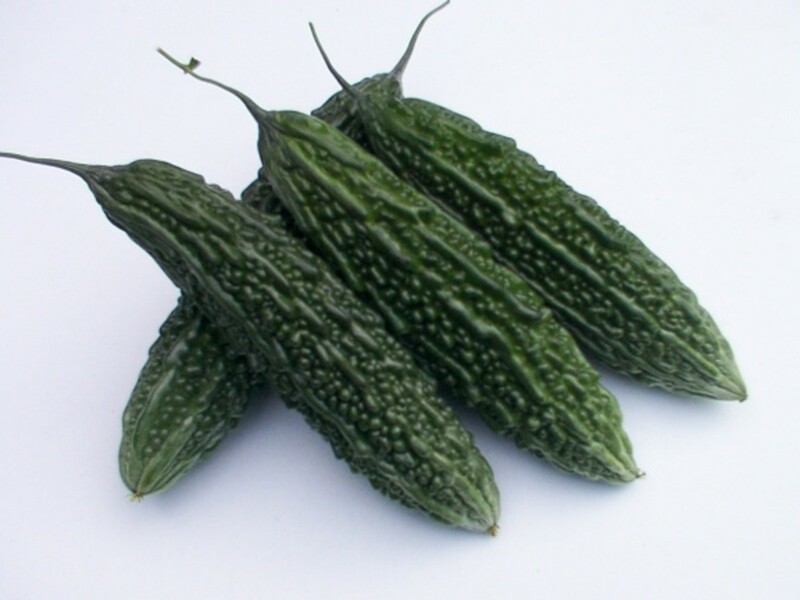 The scientific name is Momordica charantia. Growing in the tropical and sub-tropical regions of Asia, Africa, India, China and even the Caribbean, it is a perennial plant known by many naturopathic healing practitioners for its benefits in treating and possibly even preventing many different diseases. Disclaimer: In no way is any of the information presented in this article intended to take the place of good medical advice. Please consult your healthcare practitioner for more information about using bitter melon in your diet. 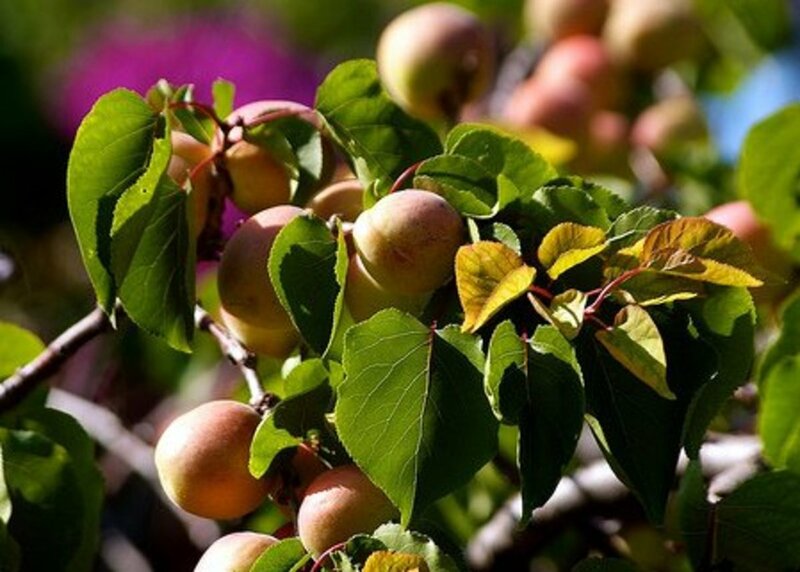 While this amazing plant and gourd-like fruit is reputed to have health benefits, one must always be safe rather than sorry when it comes to taking advice from non professionals. After all we do not have nine lives like cats are reputed to enjoy. Some of the precautions to be taken according to the Memorial Sloan-Kettering Cancer Center should be heeded! Pregnant women should not be consuming bitter melon nor should children be eating the seeds. The health benefits are exciting and apparently many universities and health institutions have people studying the bitter melon's beneficial effects on humans. More worldwide studies are scheduled to be conducted. Is the bitter melon rightfully named? Yes indeed! It is bitter and is certainly an acquired taste. After the salad that I made had marinated in the juices another day it seemed milder than at first when initially eaten. There are many other recipes some of which incorporate ground meats and plenty of spices that I might try in the future. Soaking the bitter melon in salt first and then squeezing the liquid out of it and then rinsing it in several batches of water might also help reduce the bitterness. Am I ready to try more Asian foods from the 99 Ranch store? Absolutely! It is fun trying new foods and whether they are instantly appealing or one needs to learn how to coax the more appetizing flavors from them it is an inexpensive culinary adventure that can tantalize the tastebuds and enrich one's food knowledge from around the world. Do you think that you will be trying some bitter melon recipes? I am familiar with it and already enjoy eating it. I am interested and might give it a try. If it is that bitter...absolutely not! If you are convinced that there are health benefits to consuming bitter melon but wish to avoid that truly bitter taste, then taking capsules might be the answer. You are most welcome. It is fun learning about foods of which we are familiar, at least I always find it to be so. I did not even know that bitter melon could be purchased in cans. The canning of food often changes the flavor and texture when it comes to fruits and vegetables. We would rather purchase frozen fruits and vegetables if fresh are not available. 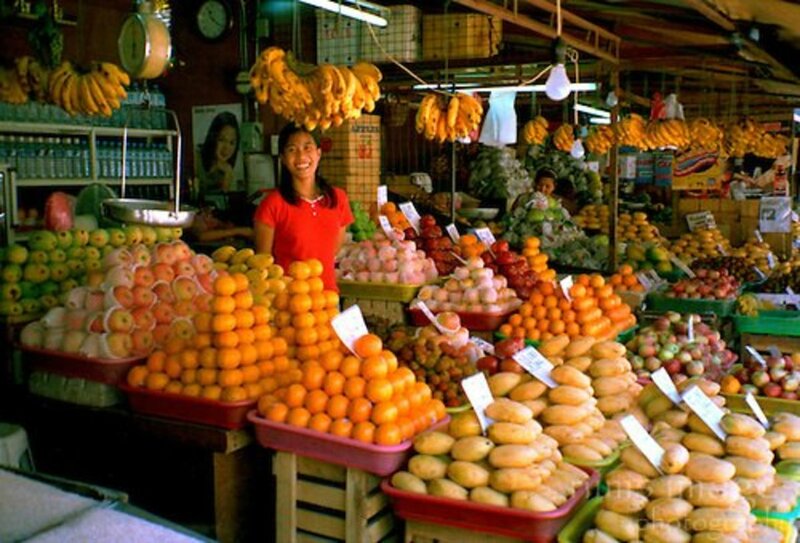 Perhaps you will get to enjoy the fresh bitter melons when you make a trip back to the Philippines. It has been almost a year that I have not eaten bitter melon. It is very seldom that I can find this vegetable fresh from the Asian shop here in Germany. I don´t like the one in the cans. Have a great day Peggy. If the 99 Ranch store near you is anything like the one we visit in Houston...you will be amazed at the variety of items you will find there! We have lots of little Mexican markets but to my knowledge we do not have a Cardenas. The best deals on avocados that I have found in our area is at Aldi's. 29 cents or as high as 39 cents certainly beats the prices in other grocery store! 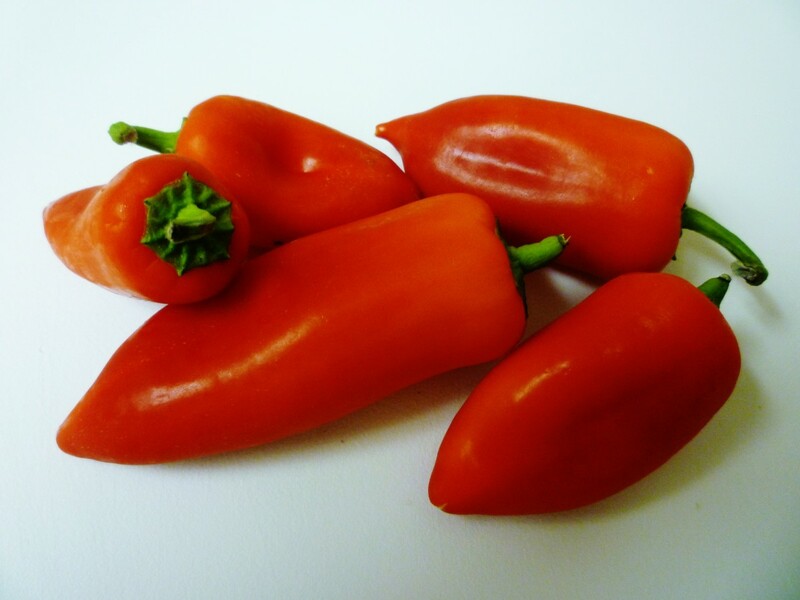 We stock up on them there as well as some of their other fresh produce. There are some 99 Ranch stores near where I live, but I have never been. 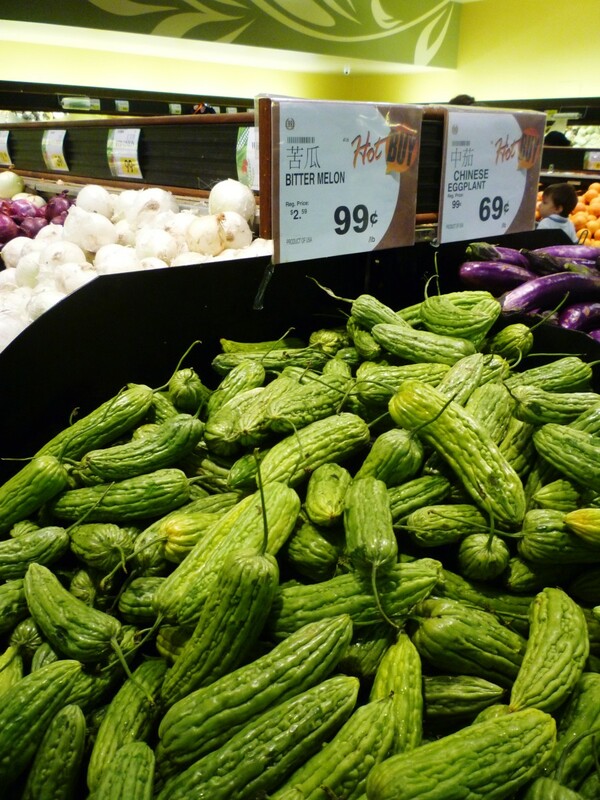 I have been to smaller Asian markets in my area, and there are good deals to be had on produce. Another store that I like in my area is Cardenas, which sales Mexican food, and also has a food court. They have a bakery where they make fresh tortillas, and a wonderful produce selection. I always find the best avocados there. Nice that you have been introduced to eating bitter melon in that way. It is reported to have great health benefits. I am also having problems with leaving comments and/or sharing. Some seem to register and others do not. Thanks for trying! As to seeing emails, my gmail account has so many thousands of notices that I hardly pay attention any longer. I guess I should check it once in a while. Tried and tried last night and again today to leave a comment on your hub about the painted cows in Houston. Managed to share it and to pin it to AH, but wouldn't let me leave a comment. Wrote you an email about it. Other hubbers are having the same trouble with other comments, etc., and they are talking about it in the forums. So I'm leaving a quick comment here in hopes this one will work. Learned a lot from this hub and I'm going to share this one too -- if it works when I hit "post comment." Well, it let me leave a comment on this one. Maybe it's the fact that the other one is in the display that is causing the trouble? There has to be a reason that one doesn't accept comments but this one does. Apparently in parts of the world it is used by many people no matter what it is called. The Oriental market here in Houston sells loads of these melons or gourds. They are definitely an acquired taste for those of us who did not grow up eating them but as you can tell from the comments, many people love this bitter melon and have all different ways of using it in cooking. Thanks for the pin. Still haven't had a chance to try these though they do sound interesting and enticing and your photos are beautiful as usual. Especially curious about the health benefits. Pinned this to my 'Salads, Soups, & Casseroles' board. So glad that you liked this! For most people not used to the bitter taste it probably takes some getting used to. I will have to try it in some other preparations. Thanks for the shares. Bitter Melon is one of my favorite dish and thanks a lot for sharing this hub. This is an awesome well-written and beautifully illustrated hub. I have been eating the bitter gourd ever since I first tried it in Taiwan in the 70s. In Thailand it is readily available, and my wife cooks it for dinner very often. I have acquired a taste for the bitterness and really like it. Voted up and sharing with followers. Also Pinning and sharing on Facebook. The friend of mine that has started using bitter melon for her diabetes also has high blood pressure. So good to know that it positively affects both conditions. Thanks! Peggy, we grow this vegetable on our vegetable patch. It does not do good to the people with low blood pressure, however, it is a wonderful food for diabetes. They certainly have stacks of them in a bin at an Oriental store where we like to shop. Many people obviously continually purchase the bitter melons there or they would not keep such a large amount on hand. Eating bitter melon is definitely an acquired taste, but judging from some of the videos and comments, people who have grown up eating it in various ways love it. The reputed health benefits are also intriguing. It is fun trying new foods. Thanks for the votes and the share. I have never heard of bitter melon the salad looks great. Don't know if I could find it around this area. Interesting hub voted up and shared. I don't know if this is for me, since I'm not a fan of bitter tasting food, but it does look interesting, and it's fun to try new foods. You did a wonderful job on this beautifully prepared hub - voted up, interesting, useful and shared. Very interesting hub and I've learned something here. While I've heard of these bitter melons before I really hadn't taken the time to learn anything about them. Your salad looks pretty good. Seems like you don't eat the interior of the melon, but just mainly the outside? Gave you 5 more stars and voting you up and interesting. Will share! Wonderful info on this very healthy, though very bitter, vegetable. The bitter melon salad looks tempting and I'm sure the bitterness would have been made milder by the vinegar. Stunning presentation and love the dividers. Voted up, useful and shared. Not too surprising that you have not tasted bitter melon. At my age there are still many different foods that I have yet to try. Working on it! Ha! Thanks for your comment, vote and the share. Wow that salad looks so appetizing and beautiful. I have never had bitter melon believe it or not. Next time I am in the market will definitely buy some and try your recipe. Thank you for sharing. Voted up and sharing. So glad to hear that you liked the sound of this bitter melon recipe made up as a salad. Thanks for your comment and the share. Wow, nice recipe. I love bitter melon too and I always have it spicier to cut off the bitterness a bit. Your recipe sounds tasty too. Will give it a try sometime. Thank you for sharing! Voted up and sharing! Will have to try soaking the chopped up bitter melon in vinegar the next time. Thanks for the tip! I did not know that it grew on a vine. Thanks for the additional information and also your recipe idea. Appreciate your comment. 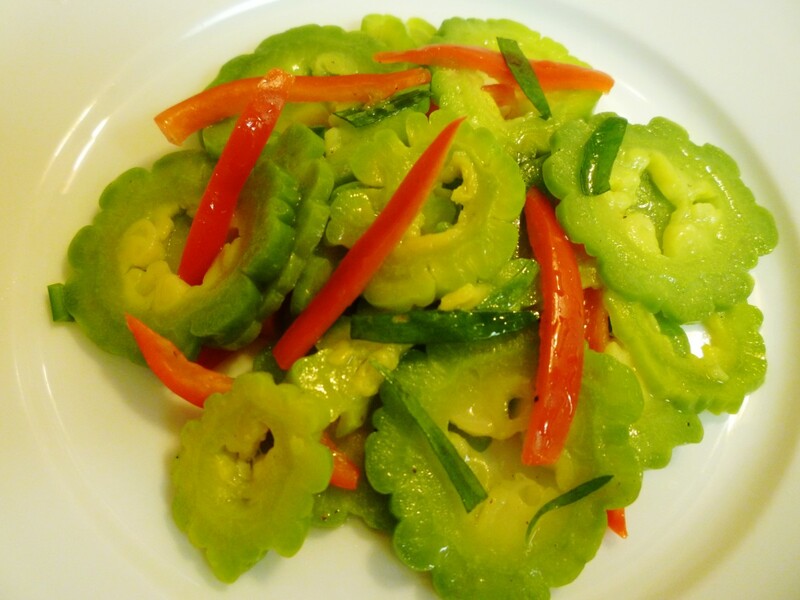 Thanks for adding how you use the karela or bitter melon in your cooking of it. I may try salting it to draw out more of the bitter juices next time and then rinse it instead of boiling it in the salted water. Thanks for your votes and the share. 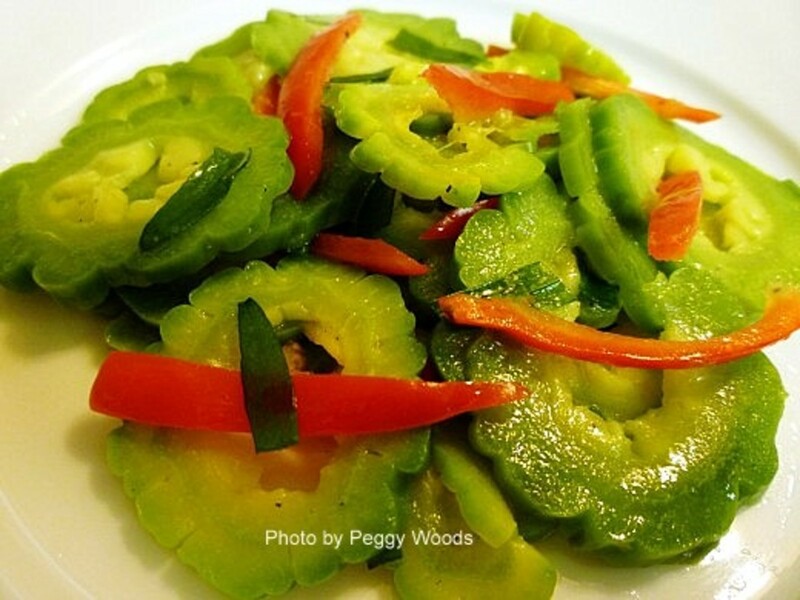 Here in the Philippines, we call it "ampalaya", and it's easy to grow -- we used to have a vine in our back yard. Its health benefits are really amazing, especially in treating diabetes. In fact, bitter gourds are made into capsules as food supplements. A favorite dish involving these (our own recipe) is a bitter gourd stew with beef strips and tomato sauce. 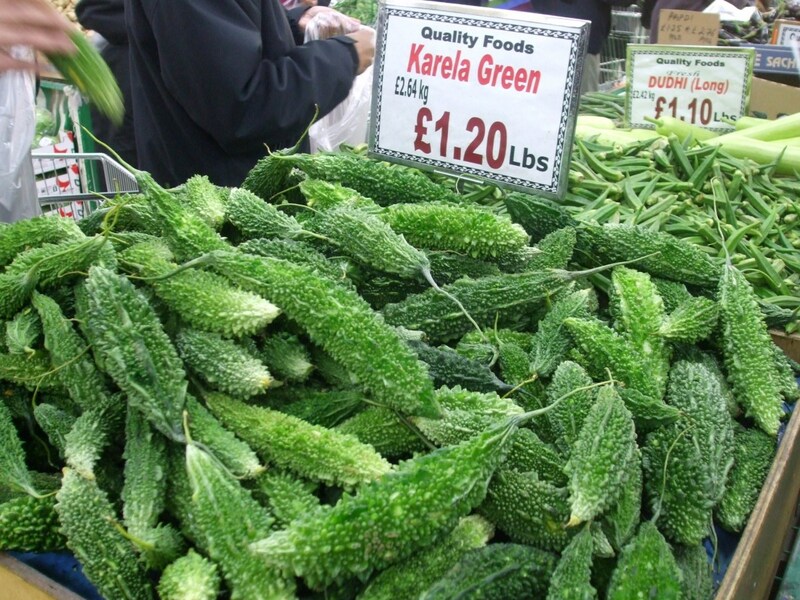 Peggy, here in India we call it karela or bitter gourd and it is really bitter, though salt offsets the bitterness to quite some extent. We either cut fine round slices and fry them or slit them longitudinally and fill a paste of spices and then cook it. Very interesting to read about your experience with this vegetable. I find the salad recipe quite interesting. Thanks for sharing this information. Voted up, useful and interesting. Shared the hub. I took a look at the recipe and it sounds good. It also tells how to pick out the young green bitter melons...undoubtedly the smaller sizes with smaller seeds for best results. Thanks! I have a friend who has diabetes and I introduced her to the bitter melon and information about it. She has been using it regularly...adding it to fruit smoothies, as an example, and her numbers continue to improve every time she is checked by a doctor. So it is definitely helping her diabetes! I agree that it is an acquired taste. I need to try out some other recipes using it. Thanks for your comment. They look like what we call Bitter gourd. They are supposed to be very good for the patients with high glucose levels ( Diabetics) . Though not many like it because of its taste but once you prepare it nicely it doesn't taste bitter. But still one has to acquire the taste to eat it and enjoy this wonderful vegetable. Bitter melon is definitely an acquired taste for those of us who did not grow up eating it. If you follow my recipe...it seemed to mellow a bit a day or two later. A friend of mine has used it in smoothies with fruit and says it is quite palatable that way. Obviously there are many ways to cook with it. Thanks for your comment and glad that you liked this hub. I also like to try new foods. We have an Asian market close by. I will get Bitter Melon and make your recipe. Thanks. The photos are great and the accompanying divider shows your hard work. I like those little touches. I like to try new and different things so when I noticed great mounds of this bitter melon always in that one store with many people purchasing it, my curiosity got the better of me and I had to try it. It is definitely an acquired taste but supposedly has great health benefits. Reading the comments of others who really like it, there are many ways to prepare it. Thanks for your interest, comment and tweet. Perhaps you should write a stuffed bitter melon recipe as a hub during this recipe contest month? I would be curious as to what ingredients your mother uses. Am sure that others would be interested as well. Thanks for your comment. I did not know this vegetable is called bitter melon. We call it bitter guard in Nepal. My mother can make as much as 12 items from bitter melon, but has never made this. I need to tell about this recipe to my mother. By the way, my favorite recipe is stuffed bitter melon. It is good to hear about the bitter melon tea from someone who not only uses it but finds it helpful for stomach problems. Will forward this to someone I know who suffers the same malady on occasion. Thanks for all of the other suggestions as to how to use it and I appreciate your comment, votes and especially the sharing of this hub. Awesome! I love this hub. You have written so many information about bitter melon. It is indeed very, very healthy! I love this vegetable grilled on an open fire as what I have learned from my grandmother(peace with her in heaven). I like it bitter. I used to stir fry this with meat, shrimps, with eggs and make a salad out of it as well. But your salad is different, so I have to try it. My mouth is watering now thinking about this food. Before I forget, dried bitter melon is good for my stomach trouble, so I drink bitter melon tea also. Thank you for the information. I have to SHARE your hub to my FB friends and to my followers in HP. Voted up and useful. Your mother's ways of preparing the bitter melon sound good. Nice that you also have a 99 Ranch store near you. I am LOVING it and see many things that I intend to keep trying. Am introducing other friends to it as well. Appreciate your comment and votes. Thanks! This is one of my favorite vegetables. My mother would sautee it with a little oil, dried shrimp and eggs with soya sauce--delicious. She would also cook them in soups with pork ribs or duck. Once you get past the bitterness, it's actually very delicious. In Asia, they also sell bittergourd tea--supposedly good for flushing out toxins and giving one a good complexion. Very interesting read and I admire your adventurous spirit. BTW, we have a 99 ranch here too. Thanks for sharing. Awesome and rated up. Bitter melon is classified as a fruit as are tomatoes. I still think of tomatoes as vegetables however. Glad that reading this piqued your interest. I still plan to do some experimenting with it as there are so many ways to prepare bitter melon. Thanks for your comment. The bitter melon has piqued my interest. Now I will be on the hunt for this (vegetable?). The salad looks delicious to me. I will have to try your recipe. You will be much better informed about bitter melon than I was when I first purchased it. There is so much that can be done with this fruit judging from all of the comments and the videos that I found. Good luck and thanks for your comment. Like Leahlefler, this is the first I've heard of this. I think I'll head over to an Asian market to look for it, you make it sound so intriguing! I just love trying new things! I think the next time I use bitter melon in any kind of recipe, I will soak it in salted water the night before and rinse it thoroughly the next day as has been suggested by others who regularly use this fruit. It supposedly removes some of the bitterness. Hope that you have luck in locating some of it. The reputed health benefits are amazing. Bitter melon sounds mighty inteesting. I have never heard of it before. I also don't remember eer seeing it. You can be sure I keep a sharp lookout for it. I would really like to try your recipe. Looking forward to hearing back from you regarding your Peruvian substitute in the salad. Sounds interesting. Have you written a hub about caigua? I know nothing about it. Might be interesting to others as well. Thanks for your comment on this hub about bitter melon. It was fun learning all about bitter melons and also using it in the salad that I made. I'll be trying it in other preparations in the future. Glad that you liked this. Have you used it in cooking? There is another variety of bitter melon which is the one you might be seeing in your part of the world. Thanks for your comment, votes and especially the share. Your Asian market sounds wonderful! I've never heard of bitter melon, but we have a vegetable in Peru that looks very similar...caigua. From your description of bitter melon, I'm sure I could use it as a substitute in your salad. I'll give it a try and let you know how it goes! Thank you...voted up and awesome. Like you, I had seen the bitter melon and just decided to try it one day. There are so many other things especially in Oriental markets of which I am unfamiliar. Will be trying more things soon. Sometimes it is fun to step out of our comfort zones when it comes to food preparation. Appreciate your comment. I had no idea when I picked up a couple of bitter melons in the grocery store that day what they would taste like or what nutritive value they had. So I learned a great deal by experimenting and researching. Nice to be able to share this information with people like you and others. Appreciate your comment. Good luck in preparing the ones you recently purchased. Will be eager to hear from you what you ended up doing with yours as far as preparation and what you think of the bitter melons. Thanks for your comment. you did a good search on bitter melon. Nice article and i enjoyed reading it. A hub of many elements, very interesting. They seem quite popular over this way. Not sure if they are exactly the same, but here they use them in sour soups with pork. I have seen this fruit/vegtable but have never tried it. It does look very pretty in the salad. Your hub is so well designed, researched and interesting. Thanks for sharing. Bitter Melon is amazing. I can't believe all the wonderful things it can do for you. I just jumped in and came up with this salad using the bitter melon as one of the ingredients. I will continue experimenting with it and follow some of the suggestions people have made in the comment section. Apparently there are many people (like your partner) who really like this food item. Appreciate your comment and especially the share. A very informative and helpful hub on the Health Benefits of Bitter Melon. I will definitely give Bitter Melon a try. I am eager to get the benefits that this small gourd has to offer,especially to treat borderline diabetes. Great videos, salad photos and valuable information. Another great hub. Let me know what you think after you give bitter melon a try. I agree with you in that it IS fun to try different foods and learn about them. Thanks for your comment. This is quite a popular ingredient in Asian cooking -- my partner loves it but I don't. But maybe this salad will change my mind. Voting this Up and Interesting. SHARED. I've heard of bitter melon before but I've never eaten it or even seen it in the stores. I love experimenting with new foods and tastes and will definitely try bitter melon if I find it. Thanks for the useful information, Peggy. Bitter melon sounds like a very interesting fruit. It makes sense that if the leaves are edible, they would also make a tea out of them. I love various types of tea. Will look for it. I still don't think that I will be able to find the fresh leaves to try and saute as you do with the mongo beans. Thanks again for the additional information regarding bitter melon. Here in my place,these capsule form of bittermelon is called Ampalaya Plus. (Bittermelon, is also called Ampalaya). They also have bittermelon tea. The leaves are bitter too but you'll gonna love it with sauteed mongo beans. Your recipe for using bitter melon sounds delicious! You should post the entire thing and perhaps take some photos for the cooking contest this month. I'll just bet that many people (including me) would find it of interest. Thanks for your comment. Your words will certainly gain some attention: "nowadays, they captured the bitterness of bitter melon and put it in capsules, used to cure diabetes. I was talking about this with a friend who has diabetes and she wondered about just taking this in capsule form. Sadly, we do not have the option of buying the leaves...just the fruit in grocery stores. Are the leaves as bitter tasting? I am going to try some of your suggested ways of eating it. I am growing some Chinese eggplants in our garden so will have a steady supply of those on hand to be mixed with more bitter melon when I purchase it. Thanks for coming back and telling us the various ways you like eating it. Appreciate it!!! Love bitter melon. I stuff it with ground pork, shredded mushrooms, and cook it in a broth. Add green onions at the end and you have a delicious healthy soup. Interesting hub! It's great that you're trying new food. Voted up. i also love to eat raw bittermelon mixed with tomatoes,onions and vinegar with chili. --these are some recipes I always love with bitter melon. oh i love it since i was a small kid especially the leaves. nowadays, they captured the bitterness of bitter melon and put it in capsules, used to cure diabetes. Nice to know that you enjoy the taste of bitter melon. Do you have any specific recipes you follow? Thanks for your comment. Apparently if one prepares bitter melon just right, the bitter part can be mellowed to the point of it being enjoyable...not just healthful which is one reason to give it a try. Appreciate your comment. im a great fan of bitter melon! well, it might taste bitter but i really love it. Is it the taste of the bitter melon that you do not like? I plan to do some more experimenting with it and trying different ways of preparation. How have you eaten it in the past? As you said, it is fun trying new foods and learning how best to bring out the best flavors. I still have some experimenting to do with regard to bitter melons. The health benefits have me intrigued. Thanks for your comment. I'll just bet that you can find bitter melons in the UK if you have stores that feature foods from around the world. Happy hunting and shopping! Thanks for your comment. You are very brave to try something new like this. I don't think I'm that brave. I don't care for bitter food. Good informational Hub, though. I'll vote your effort UP, etc.etc. I always wondered how this bitter melon was used. The health benefits sound good. 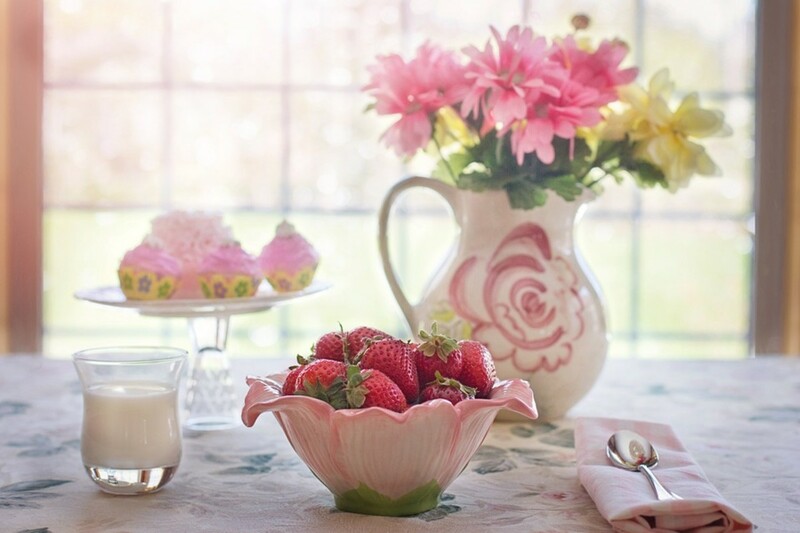 It is great that you try new things with new recipes, as it sometimes get very boring using the same old foods. Very interesting hub. Thanks for the tip about soaking the bitter melon in salted water and then rinsing thoroughly before cooking. Will give that a try the next time! Appreciate your comment and the sharing of this hub. I have been using bitter melon in my cooking and usually stuff with lots of spices and cook them. however, i try to coat it with salt overnight to get rid of the bitterness in it. Wash it thoroughly and then cook. Good luck with your grocery shopping and search for bitter melon. I would suggest watching some of the videos to determine the different ways of preparing it. Always fun trying out different foods! Thanks for your comment and vote up. I think that I will try it in soups and with some meats like your grandma used. The bitterness is probably diffused somewhat with more flavorings. I am not intrigued with using it in more preparations. Appreciate your comment. I never tried bitter melon until recently and as you indicated...it is bitter. But knowing the health benefits and seeing the videos on different ways of preparing it, I'll be trying it again. I did like the salad I made especially a few days later as it seemed to mellow somewhat. I can certainly understand why children would not tend to like it. Do you cook with it now? Thanks for your comment. I learned a lot about bitter melon when I started researching for information to include in this hub. It is a bit of an acquired taste, but I can certainly understand why people with conditions like diabetes, etc. (in consultation with their health care providers) would be wishing to use it from what I have read. Thanks for your comment and vote. I left a link to the Memorial Sloan Kettering Cancer Center in this hub. You might find it and similar articles of interest. 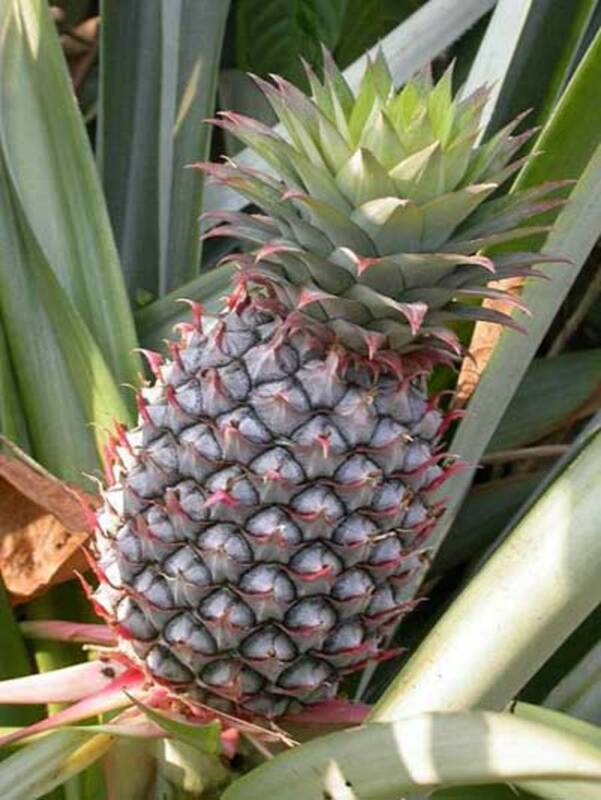 They do NOT advise that pregnant women consume this fruit nor that children eat the seeds. People already on diabetic medication should probably talk to their doctors, because apparently the meds combined with bitter melon can actually cause low blood sugar. So...an interesting fruit with health effects that should be taken into consideration. Thanks for the first comment. Hi Peggy, I am actually looking forward to our weekly shop tomorrow! I want to hunt down some bitter melon! I have never heard of it before and can't wait to try it! Many thanks and voting up. 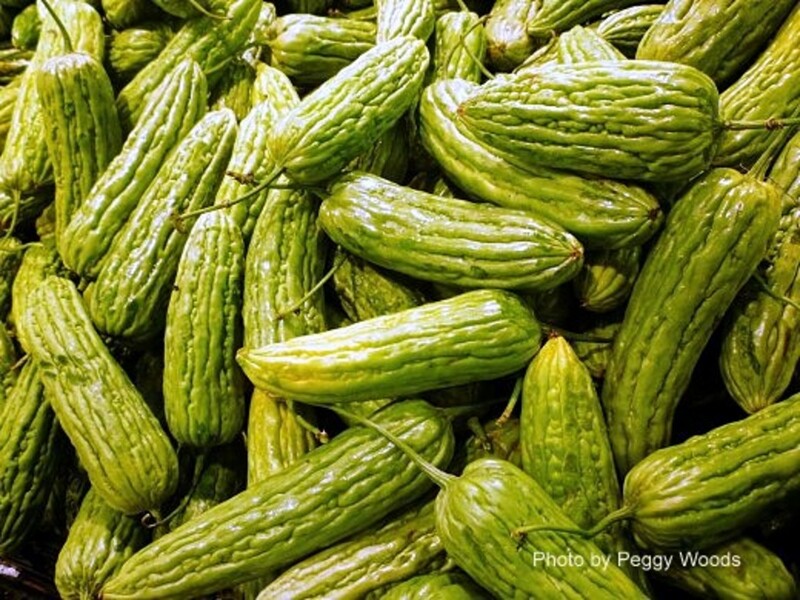 Growing up, my mother always cooked dishes with bitter melon and praised its health benefits. Naturally with the tastebuds of a sweet-loving child, I hated the vegetable! It's called bitter melon for a reason!! This was an incredibly informative hub though. Although I've eaten it all my life I never really knew that much about it as a vegetable. Thanks!